We welcome visitors to the C.C. 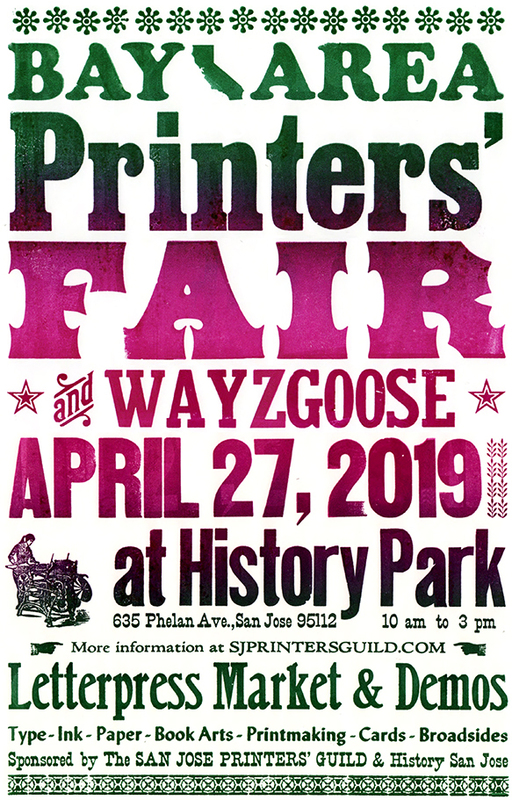 Stern Type Foundry’s working museum from 11am-3pm. Come by to see the casters in action, as well as regular hand-casting demonstrations. Volunteers are on hand to give tours and talk about the art and industry of making metal type. Admission is $5 (suggested donation). A variety of printed ephemera, printers aprons, books, and keepsake type ornaments are also available for sale at the museum and online. From March 27 through 30, the Association of Writers and Writing Programs (AWP) is gathering at the Oregon Convention Center in Portland for their annual conference and book fair. It’s a big event for writers, readers, academics, and blbliophiles, as it provides a venue for making connections, poet to publisher, reader to writer, bookseller to buyer, as well as between writing teachers and prospective employers. In fact, AWP is now the nation’s largest literary conference, drawing over 12,000 attendees for the four-day event. The book fair alone, open to the public on Saturday, March 30, pulls together over 700 exhibitors, from small press publishers to university presses and writing centers. To connect with all of that interest in the printed word, the C.C. 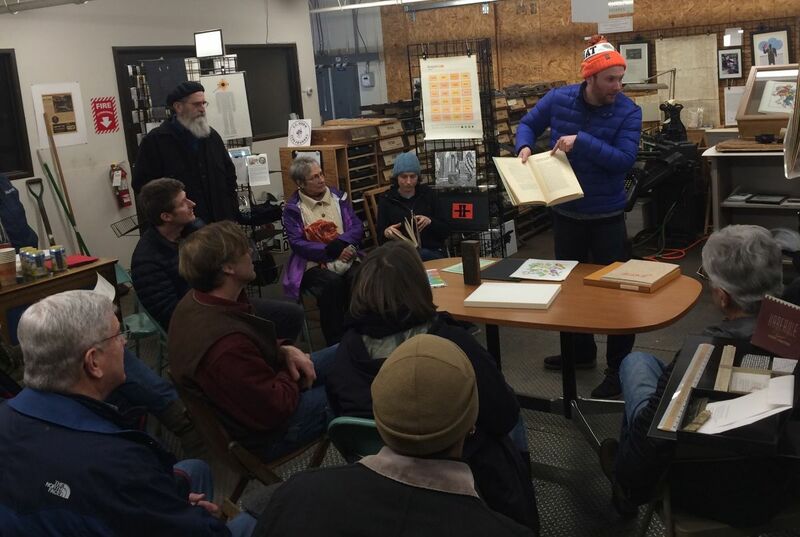 Stern Type Foundry will be hosting special open hours from 11:00 to 3:00 on Saturday, March 30. We’ll demonstrate the process of making metal type with a hand-held mold and with the Monotype “Orphan Annie” sorts caster. We’ll also have our tabletop platen press set up so visitors can print a letterpress keepsake from the foundry. 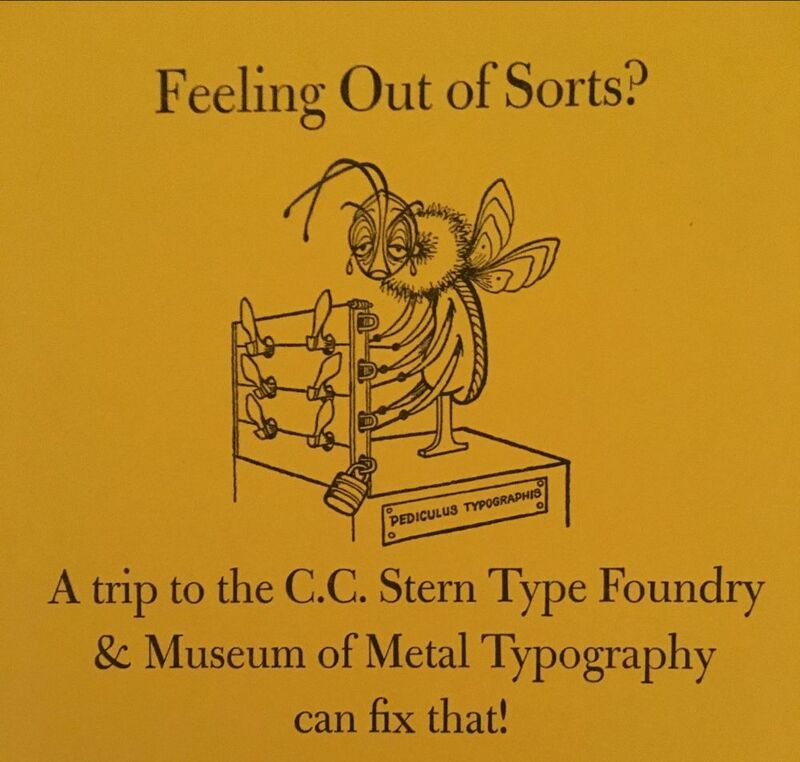 The working museum highlights the history of metal type and its use in contemporary book arts, with examples from Jim Rimmer and, of course, Chris Stern, for whom the foundry and museum are named. Anyone can visit during open hours, so we hope to see you at the foundry. On the heels of our last Type Jam with Pat Randle we are taking pre-orders for the forthcoming issue of Double Dagger. Issue No. 3 is expected to ship in April. The C.C. Stern Type Foundry will purchase directly from Mr. Randle and bundle shipping costs. Reserve yours in person at the Foundry between now and the end of March for $20. 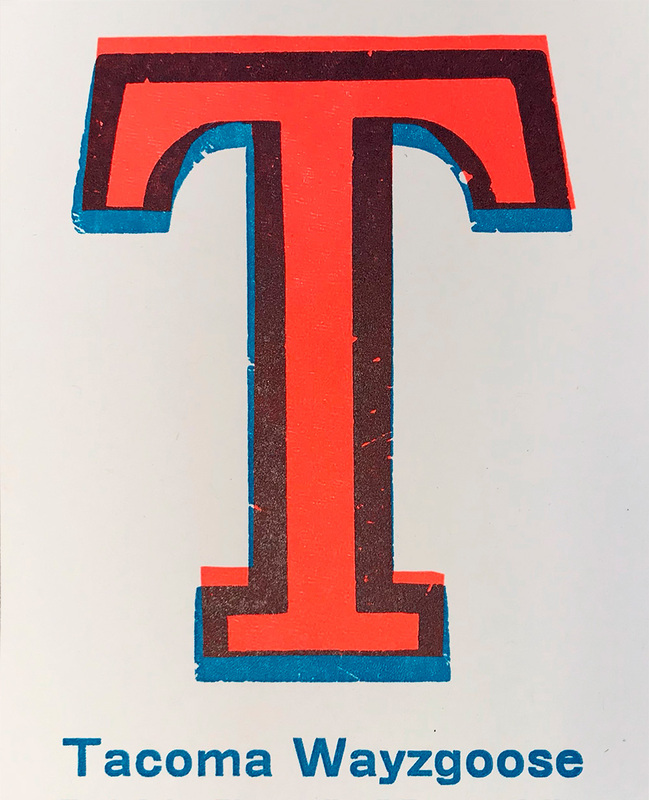 Our exhibit showing work from Whittington Press, Nomad Letterpress, and Double Dagger will remain on display through April, so come by to take a look at it if you missed the opportunity in February. The Friends of OCAC is an informal group that was started in December of 2018 by instructors, students, alumni and longtime friends of OCAC who were concerned about the future of the college and of the community craft school. Our beloved 112 year-old institution is undergoing major changes. As most of you know, the school has announced that this graduating class will be its last. Students who are not graduating this term are transferring to other colleges. The future of the campus and the community school is not known. Official OCAC information can be found here. The need for confidentiality during this transition has lead to frustration over the perceived lack of transparency by the Board. The aim of The Friends of OCAC is to help the school gracefully move into its next phase. We seek to bring clarity, civility and thoughtfulness during this time of transition. With this goal, we organized a day of open studios and craft activities at OCAC on February 2nd, called "Passport to Creativity" to bring positive energy to the campus and the community. The event was attended by over 200 people, some visiting the campus for the first time. We created a petition asking for a Town Hall Meeting with the Board that received 1,167 signatures. For news, you can "follow" Friends of OCAC on our Facebook page. You can join our mailing list on our website www.friendsofocac.org. We'd love to know your thoughts. Use Oregon Cultural Trust matching funds for our "Museum of Metal Typography"
Copyright © 2019 C.C. Stern Type Foundry, All rights reserved. I want to let you all know of a special project we are conducting at Columbia Children’s Arboretum this winter that we hope won’t affect your use of the park. PPR will be removing native trees to improve the overall forest health at CCA in the next week or two. As you know, thousands of trees, shrubs and ground covers have been planted at CCA to restore the ecological functions of the site. However, several dozen of those trees have become so dense that in some areas of the forest they are choking each other out. Most of the trees are so crowded that only the very top of the tree has any green canopy. Additionally, the more complete shade under the trees has prevented native shrubs and ground covers from establishing, leading to reduced habitat value for animals, poor water quality in the nearby slough channels, and higher rates of homeless camping on the bare soil. In the coming 2 weeks, some trees will be girdled so that they die slowly, providing snag habitat for the hundreds of bird, mammal and insect species that are found at CCA. Other trees will be completely cut down and the wood will remain on the ground to enrich and de-compact the forest soil. In Winter/Spring 2019, community members and school groups will be planting hundreds of shrubs and ground covers in the newly thinned areas. Special care has been taken to select trees that are less than 12” dbh for removal and that are of varying sizes and species. The goal is to have a forest with a diversity of tree species and ages. This project is being conducted and monitored under a Type 1x Land Use permit (#LU 18-251306EN; attached). Please share this information with anyone else you know who uses Columbia Children’s Arboretum and let me know if you/they have any questions. DescriptionWe will be planting hundreds of native trees and shrubs and removing invasive species including Himalayan Blackberry and English Ivy at this special gem of a site -- and your help is what makes this community planting possible! RSVPs kindly requested. In addition to the planting activities at the Columbia Children's Arboretum, we'll also be planting a handful of large-stock trees in the adjacent East Columbia neighborhood. If you live in East Columbia and are interested in receiving a tree, please order trees here. Please arrive by 8:45am to sign-in and enjoy some breakfast treats and coffee, tea, or hot chocolate. The planting starts promptly at 9:00am. We provide gloves, tools, and guidance, so all you need to do is show up dressed for the weather and wearing sturdy shoes or boots – and be ready to have fun! Friends of Trees is excited to partner with Portland OIC, Portland Parks & Recreation, the Columbia Slough Watershed Council, and Friends of the Columbia Children's Arboretum with support from the Port of Portland, East Multnomah Soil & Water Conservation District, Metro, and the National Fish & Wildlife Foundation to restore a part of one of NE Portland's "hidden gems": the Columbia Children's Arboretum. Please contact Jenny, Pablo, and Carey at (503) 595-0213 if you have questions or need any further information. We look forward to seeing you out there! Thank you to our event sponsor, Port of Portland! Pizza and Beer are ON US! Support Friends of Trees through the Willamette Week Give!Guide for a free slice and a pint!